Economic Affairs Secretary Subhash Chandra Garg on Wednesday said the 'calibrated tightening' stance of RBI's Monetary Policy Committee (MPC) probably needed a rethink even as he welcomed the decision on policy rate. "The government welcomes the assessment of the MPC. The government notes its decision to maintain the policy rate. The policy stance probably required calibration," Garg said in a statement issued by the Ministry of Finance. With inflation under control and forecast of even lower inflation in the second half of the current fiscal, there was a case for change in stance from 'calibrated tightening' to 'neutral' even as the market believed the rates would remain unchanged. However, the MPC while keeping the repo rate intact at 6.5 per cent, also retained the stance as it saw higher implied volatility in the sharp decline in inflation in short term and wanted to see whether fall in food and oil prices are durable in medium term. 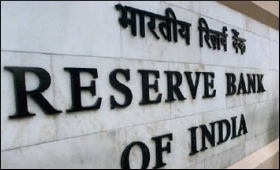 Garg also said that the RBI's decision to reduce Statutory Liquidity Ratio (SLR) from existing 19.5 per cent to 18 per cent in six quarterly instalments beginning January 2019 "will have some implications for the government securities". "However, the momentum created by the reduction in oil prices and reversal of foreign flows has resulted in further moderation of yields post policy announcement," he said. The assessment of the MPC for growth and inflation outlook is consistent with that of the government, he said. The GDP growth projection for 2018-19 is retained at 7.4 per cent as in the fourth bi-monthly resolution in October, 2018.